dma = findStructuralDamping(structuralmodel.DampingModels) returns the damping model and its parameters assigned to the structural dynamics model. The toolbox supports the proportional (Rayleigh) damping model. The parameters of this damping model are the mass and stiffness proportional damping parameters. 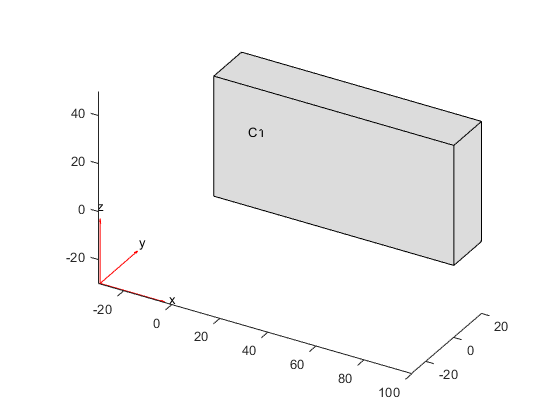 Find the damping model assignment for a 3-D model. Specify the stiffness proportional damping parameter. Now specify the mass proportional damping parameter. Check the damping parameter assignment for structuralModel. Notice that the Beta parameter is empty. When you specify damping parameters by calling the structuralDamping function several times, the toolbox uses the last assignment. Specify both the mass and stiffness parameters. Check the damping parameter assignment for structuralModel. Damping model of the structural model, specified as a DampingModels property of a StructuralModel object. Damping model assignment, returned as a StructuralDampingAssignment object. For details, see StructuralDampingAssignment Properties.